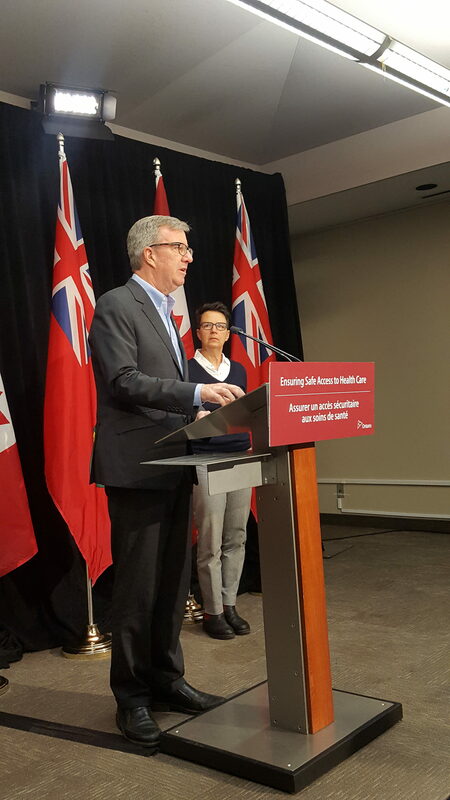 Ontario is taking steps to help protect women who are seeking reproductive health care. In fall 2017, the province plans to introduce a bill that would, if passed, create “safe access zones” at specified health care facilities that offer women’s reproductive services. The zones would help ensure the safety and privacy of women, visitors and health care workers travelling to and from these facilities. Over the coming months, Ontario will consult with health care, legal and advocacy groups to develop details of the new law. Both British Columbia and Newfoundland and Labrador have legislation in place that restricts protest activities around women’s health care facilities to help keep patients and staff safe. In Ontario, there are currently several court injunctions in place to protect the safety and privacy of women and health care professionals by restricting protest activities in and around specific locations in the province. Abortion is funded in Ontario as an insured service under the Health Insurance Act. Learn more about health care options in Ontario.